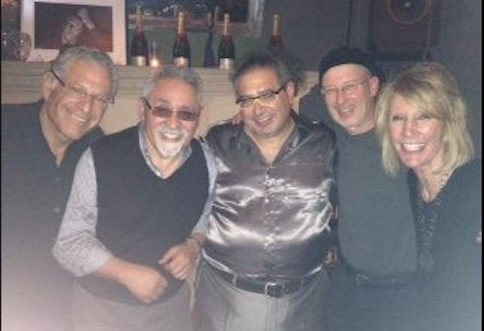 Bill & Tom Joint Birthday Party featuring Bill Swartz on guitar, George Whitsell on guitar, David Ross Berson on tenor sax, Bernie Rivera on tenor sax, Billy Rivera on drums and vocals, Tom Lilienthal on bass and Wayne Fettig on keyboard. 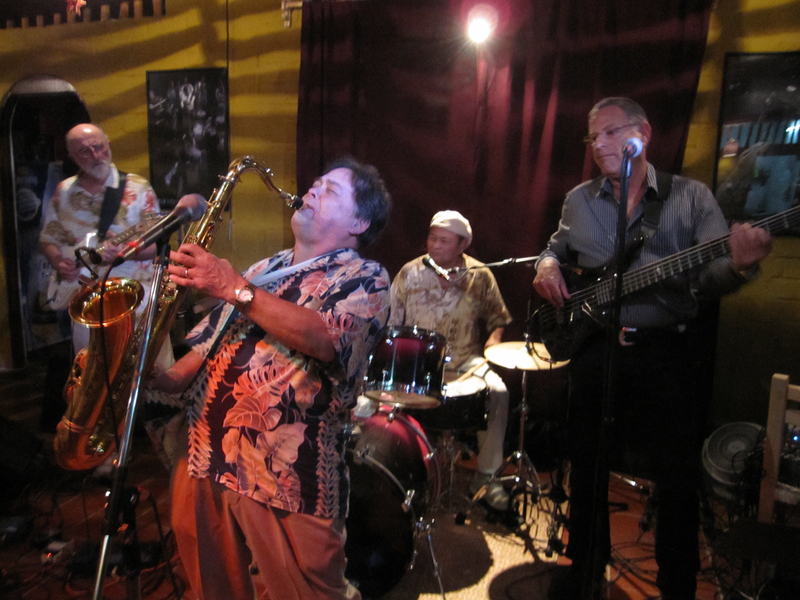 The Bob Simmons Band, Live at The Sardine Can in Vallejo, CA featuring Bob Simmons on guitar, Jeff Wollman on keyboard, Bernie Rivera on tenor sax and vocal, Billy Rivera on drums and Tom Lilienthal on bass. 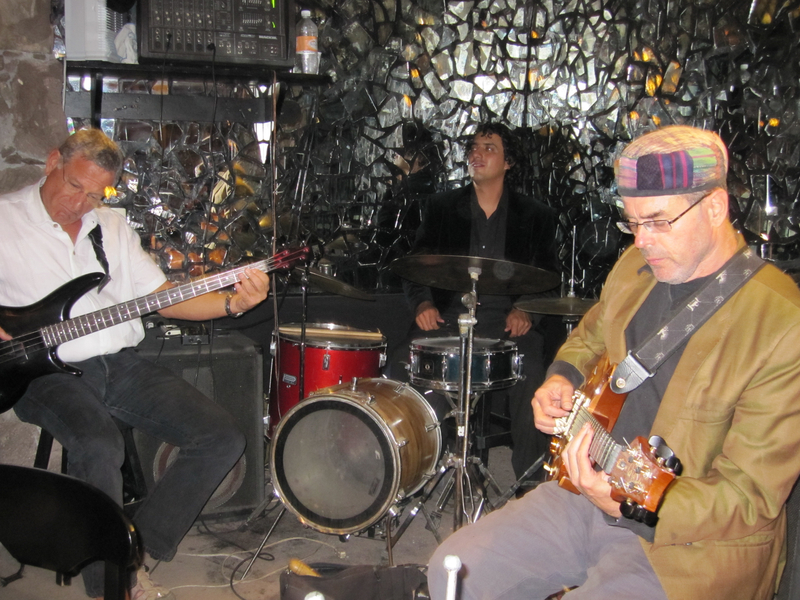 Sitting in with good friend, Oscar Fuentes on his solo gig in Tucson in November of 2017. 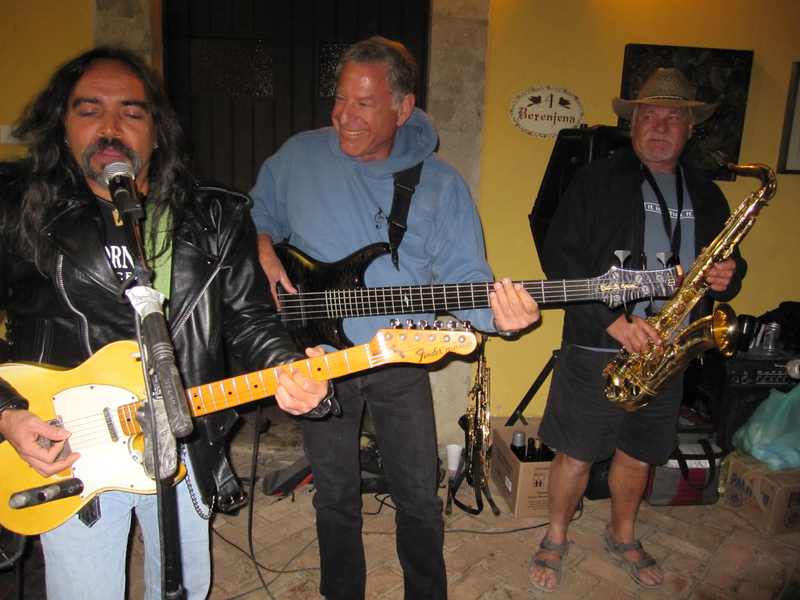 Oscar and I played together for many years in La Cruz de Huanacaxtle, Mexico with the band, Ballena and with Philo & The Shuffle Band. Fundz Jazz performing Cold Duck Time. 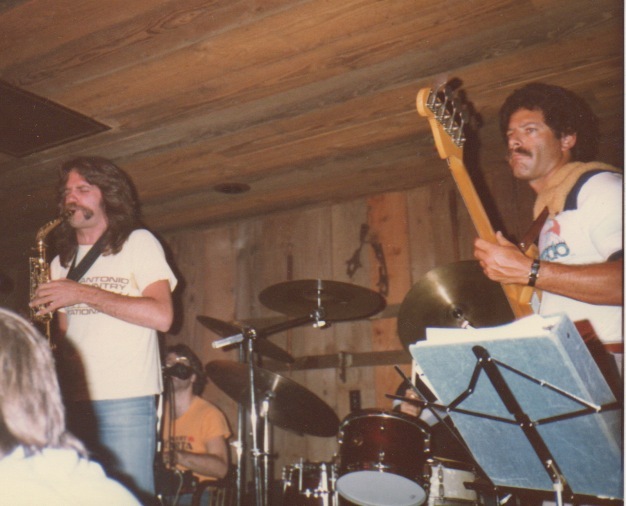 Wayne Fettig on keyboard, John P. Douglas on tenor sax, Mick Mestek on drums and Tom Lilienthal on bass. On February 26, 2014, L.A. recording artist/vocalist Julie Kelly was featured in a sold out concert in San Miguel de Allende. 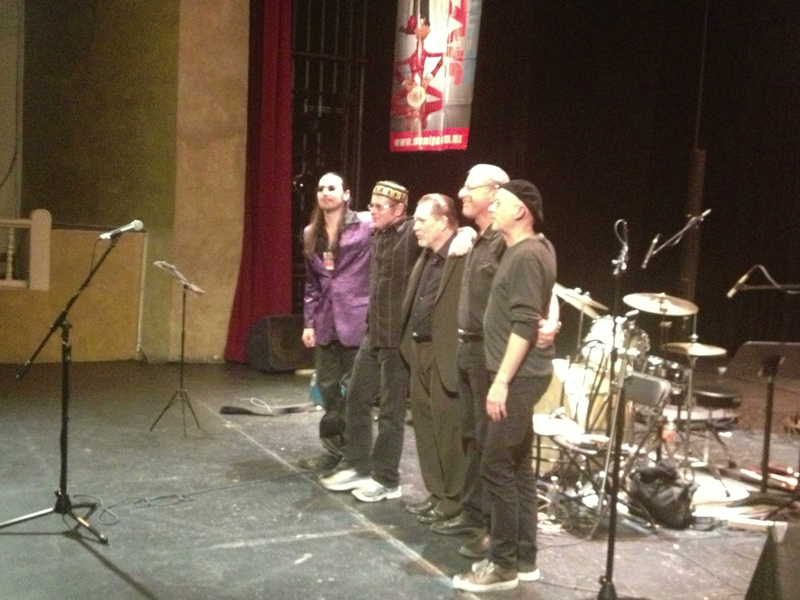 From left to right: Tom Lilienthal (bass), Jaime Valle (guitar), Gabriel Hernandez Cadenez (keyboard), Rick Shlosser (drums), and Julie Kelly (vocals). 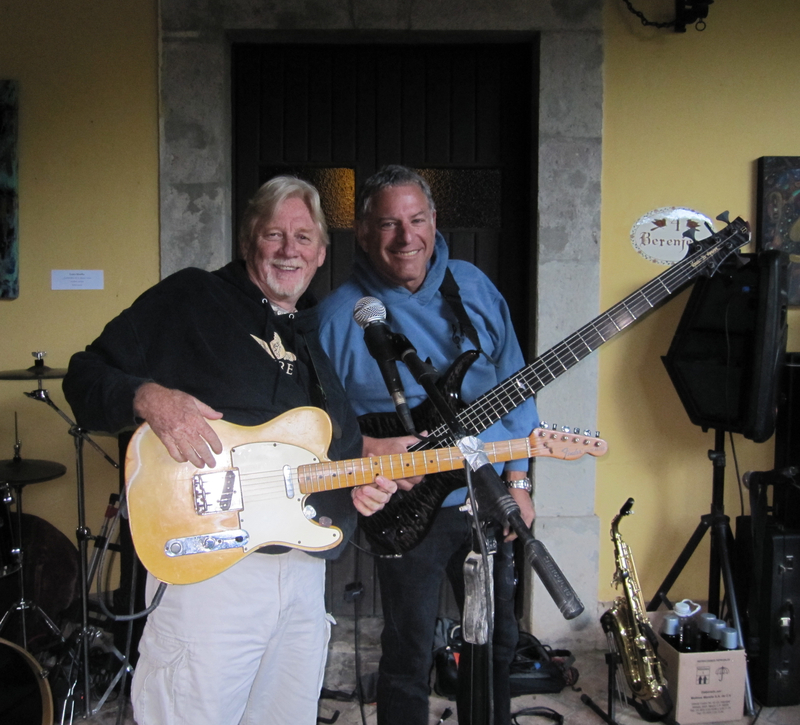 On November 16, 2013, Tom performed with The Dennis Gruenling/Steve Guyger Blues Band at the XIX Festival Internacional de Jazz & Blues in San Miguel de Allende, Guanajuato, Mexico with Rick Shlosser (drums) and Ken Basman (guitar). 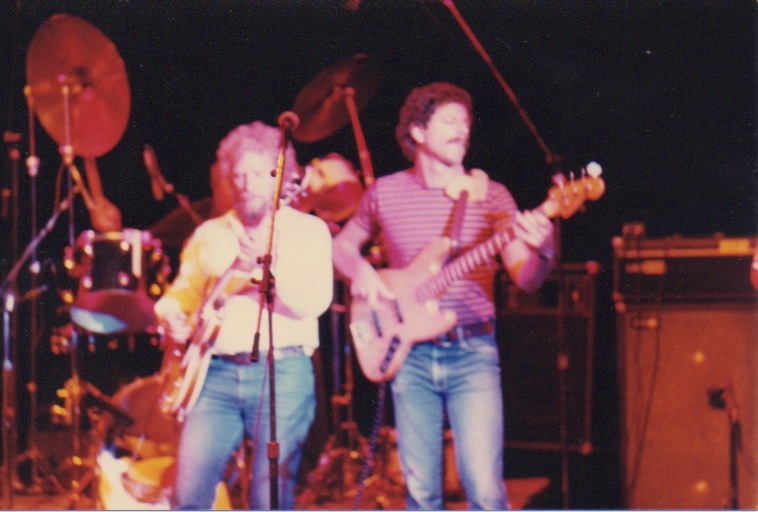 Both Dennis and Steve hail from Philadelphia and are both outstanding blues and Chromatic blues harpists and Steve is a wonderfully, soulful vocalist. Both men are great showmen. 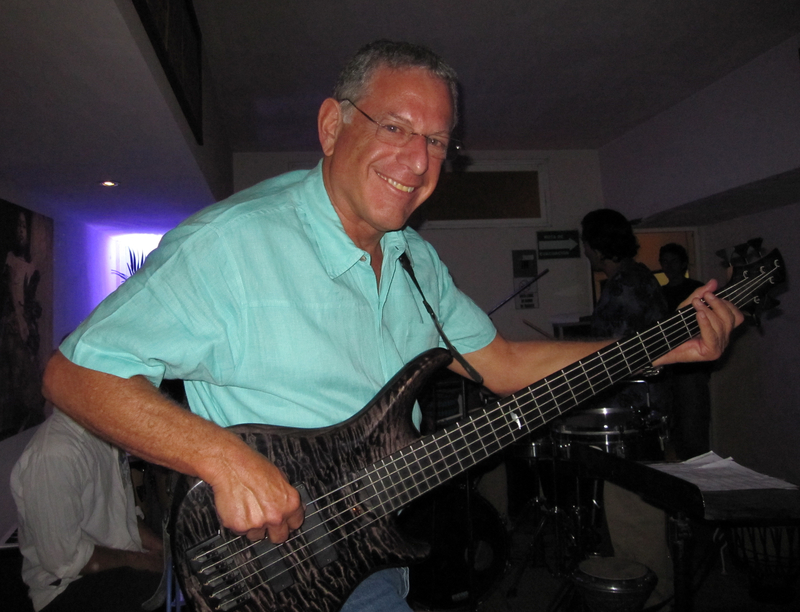 In the Spring of 2011, Chas Eller (keyboardist with the smooth jazz group Kilimanjaro and Paul Butterfield, Bryan Savage (sax/flute L.A. smooth jazz recording artist) and Tom started a jazz/latin/funk/blues/R&B influenced group, The Banderas Bay Jazz Allstars, for the purpose of playing concerts and festivals in the nearby area. The group was very well received and so, in the Fall of 2011, they added Lazaro Poey (cuban drummer with The Havana Project) to the band. 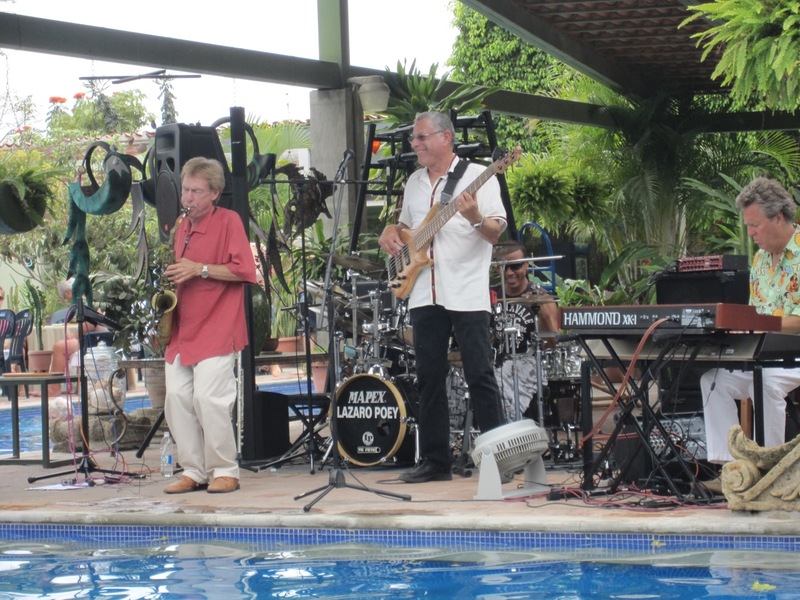 They performed in venues in San Pancho, La Cruz, Bucerias, Nuevo Vallarta and Puerto Vallarta to enthusiastic crowds. 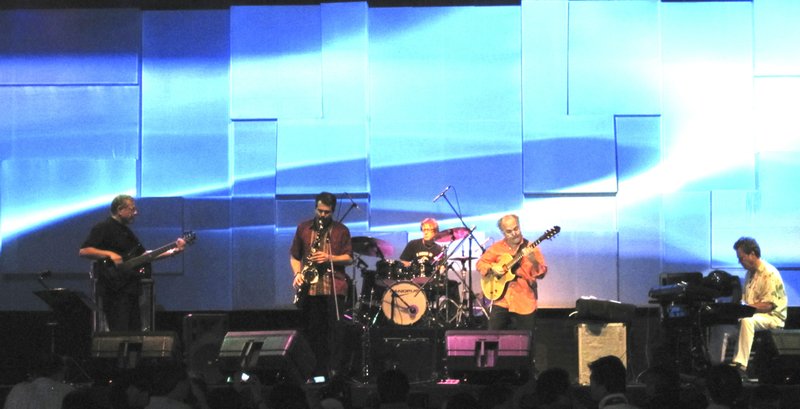 In March of 2011, Tom went with the smooth jazz group, Kilimanjaro, as their bassist, to perform at the Java International Jazz Festival in Jakarta, Indonesia. 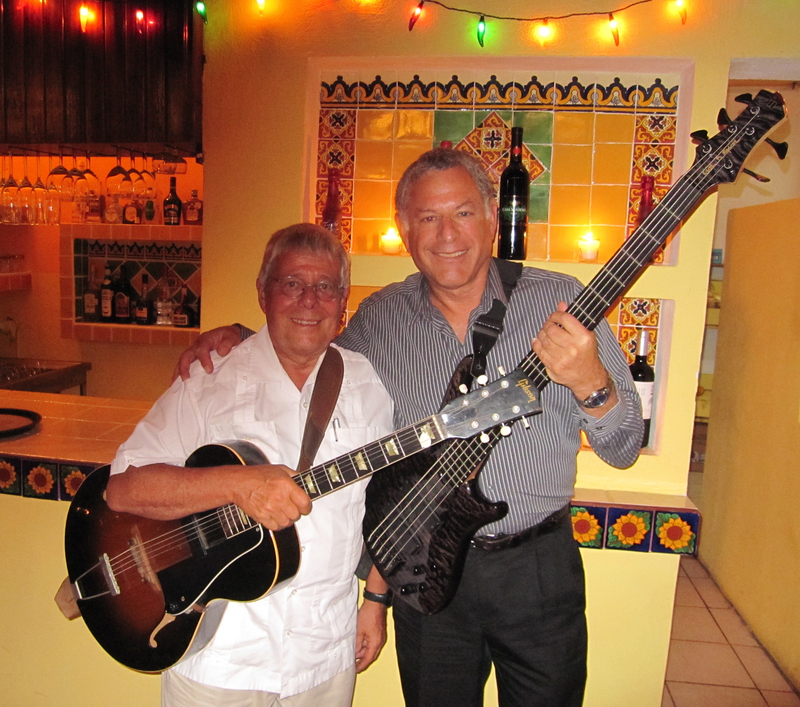 Performing with Oscar Fuentes (guitar/vocals) in San Sebastian, Jalisco, Mexico. Guest artist with the Miztitlan Percussion Ensemble in San Miguel de Allende, Guanajuato, Mexico.